The smartphone is the perfect tool to help you get things done or keep track of things. 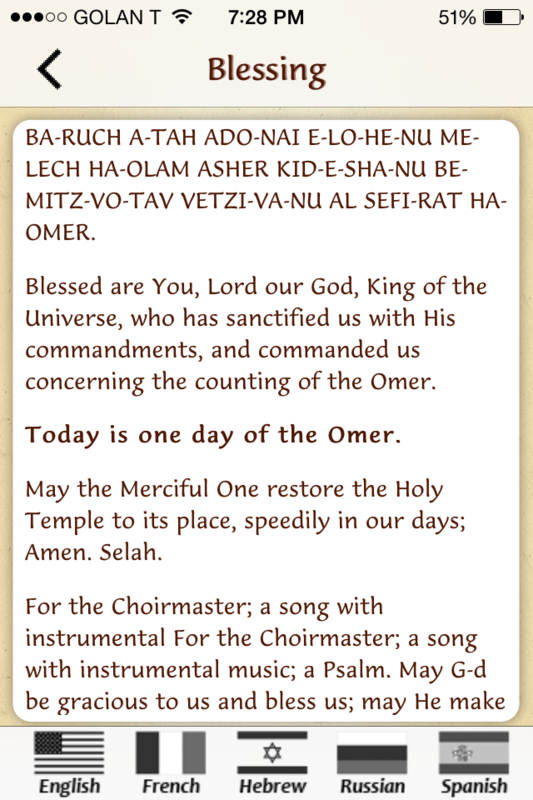 Using it to remember to count the Omer is a great use for a phone or tablet. This is a time of year called Sefira. It spans from Pesach to Shavuot and it is our “job” to ready ourselves as we go from reliving our redemption from slavery in Egypt at the Passover seder to becoming a Jewish nation and receiving the Torah on Shavuot. Many of us follow the tradition of counting the days leading up to Shavuot (called counting the Omer). But it is not easy to remember to count every night. If we forget to count at night but remember it the next day before sundown, we can count but without saying the blessing for that day, and that night, we can count the next day with the blessing. But if we forget to count altogether, and totally miss a day, then we cannot resume counting with the blessing for the rest of the duration (until we try again next year). So it is pretty cool to be able to have an app on our phone, or tablet or iPad remind us to count. I tried several apps both on my Samsung Galaxy 4 and my iPhone 4S to see which ones I liked best. I limited my selection to apps that are free, although there were many more offerings of paid apps. I had several criteria that I considered in choosing my preferences. 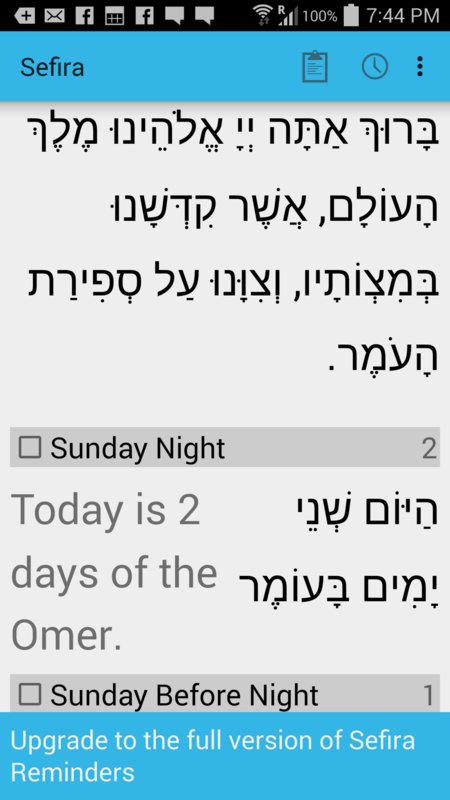 I like an app that offers the original Hebrew, but also an English translation. 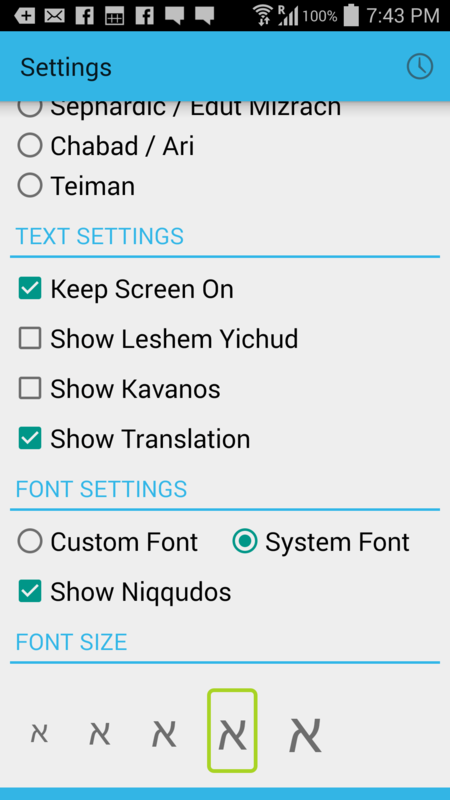 I disqualified apps where the settings were only in Hebrew. Because although I can count in Hebrew, setting up the options to my liking only in Hebrew, was more than I felt like doing in the time allotted to this evaluation. This is the one I chose for this year for my android phone. It is called Sefira Reminders Lite. There is a paid version, but I am trying the free version. Unfortunately, I could not find this in the app store for iOS. Keep reading for my choice for the iPhone or iPad. Here s the blessing. I am using a big font. 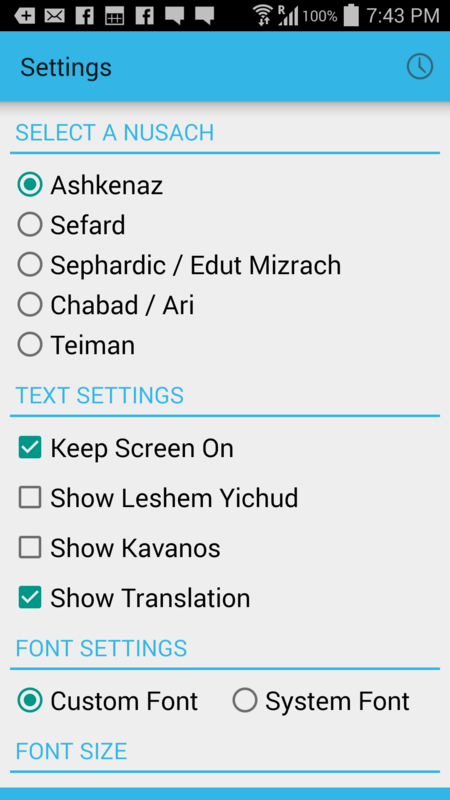 I like to be able to choose the Nusach, show translation or not, and to be able to choose the size of the text on the screen. Don’t remind me if I have already counted. So smart! And what kind of a sound to I want? 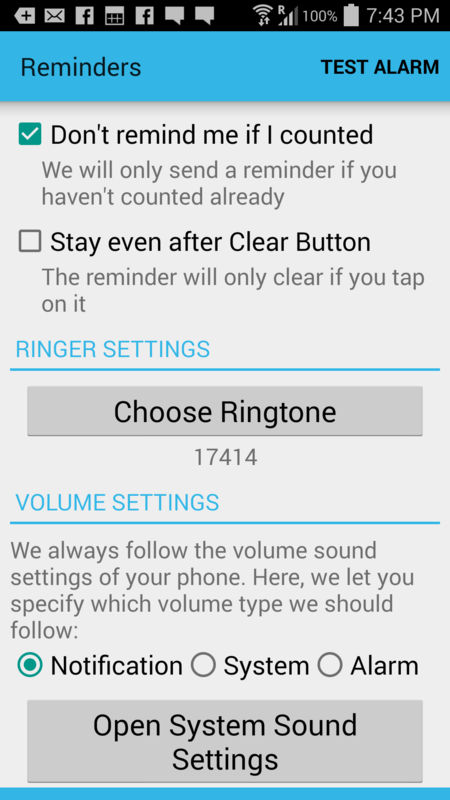 Speaking of settings, being able to set a ringtone of my choosing got extra points, as did setting a reminder time for both the evening and the next day (insurance). It was also nice that it could be smart enough not to remind me if I already counted. The significance of choosing the volume setting in the image above is that the Alarm setting will be audible even if your phone is on silent. So that is great if you forgot to turn up the volume on your phone, but possibly embarrassing if you silenced your phone for a meeting or other gathering and suddenly the reminder goes off. Of course, you can change this at will. Choosing a different time for Friday afternoon and for after Shabbat is also very smart. It seems like they thought of everything. Do I want to be nagged until I respond? (in my case, no, I don’t) And knowing that I am in Israel. And to notify me before Shabbat, since I don’t want the intrusion on Shabbat. There is another app that I chose because aside from keeping count, learning something about Sefira seems like a great idea and this app teaches about Sefira itself. 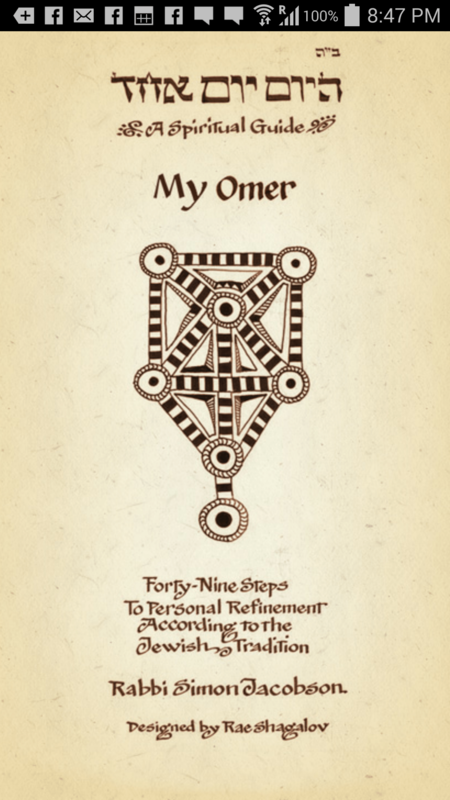 My Omer, Forty-nine steps to personal refinement according to the Jewish Tradition. Opening screen of My Omer – available for android and iOS. an explanation of the meaning of the day. note that there are buttons at the bottom of the screen for journal and exercises. It has exercises and a journal to keep track of your progress. Of course it still has the essentials that you require to count. 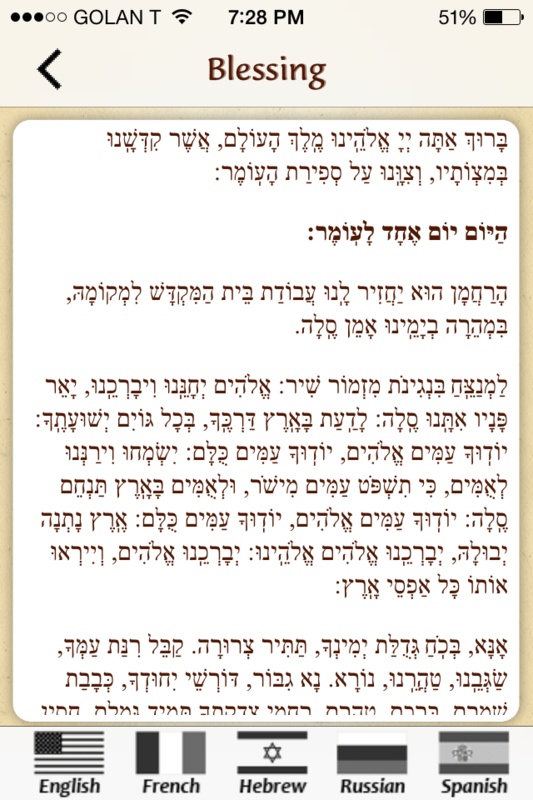 In fact, it even has a transliteration of the blessing if you don’t read Hebrew. 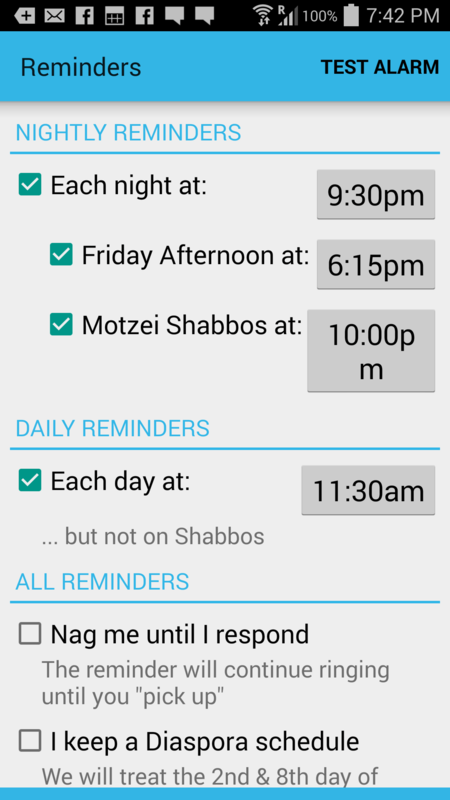 It also has nightly and daily reminders and can be set to Israel. I didn’t see a setting to tell it what time before Shabbat. This one seems like a winner and the good news is that it is available for iPhones and iPads in the app store and it is also free. I also love that it is multi-lingual including French, Russian and Spanish. Blessing with transliteration, count, choose a language. The last one, displayed above a widget, not an app. 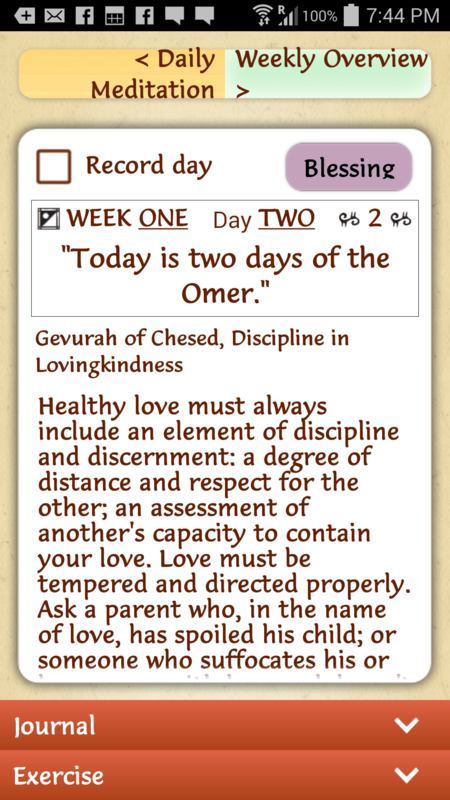 It is for android only and is called, “Counting the Omer.” It does not actively remind you, but when you tap on it, you can read the blessing in English. What I like about it is that it will sit on my home page on my phone, and remind me that it is Sefira. These are my picks… B’hatzlacha to you if you are counting. Please leave comments about your preferences as well. Moadim l’simcha and a gutten moed! 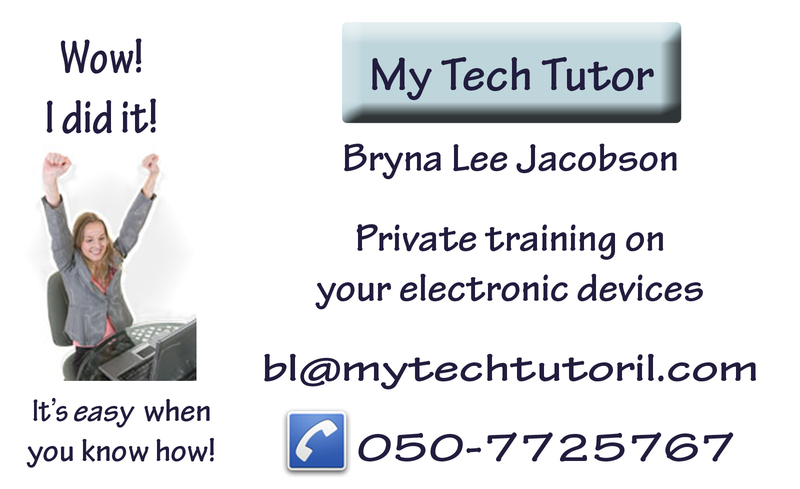 To celebrate springtime, My Tech Tutor has created some bundled packages in order to create more opportunities for you to learn to use your phone, computer or tablet at special rates. Please call or email to arrange a time.